“Kabir”: the Stone pelters of Balochistan – Nadir Baloch. 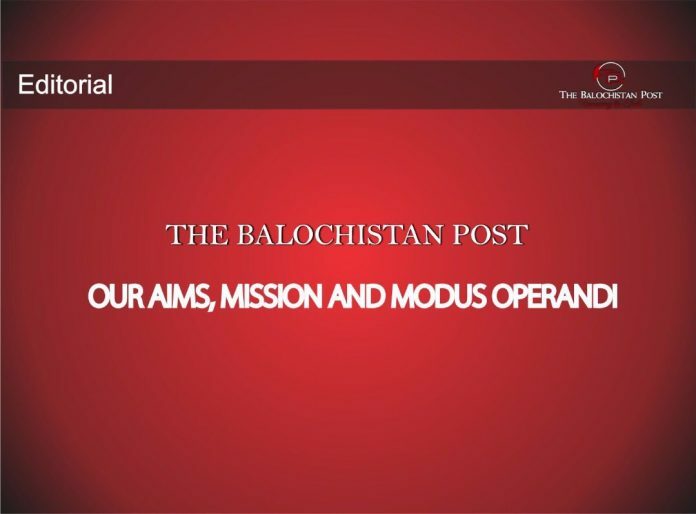 The Balochistan Post (TBP) is an online news portal published in English, Urdu, Balochi and Brahvi languages. TBP brings authentic news from Balochistan for its readers, which are normally kept hidden from regional and international media. It also publishes important international news that are related to Balochistan. The main faucet of TBP is its extensive reports that render the real conditions in Balochistan to the outside world. TBP is a team of professional journalists, web designers, on ground reporters and writers that make sure only authentic and professional news, reports and articles are published and the website remains updated 24/7. Balochistan has been turned into an information black hole. No factual news makes its way to the world as international journalists are completely banned from Balochistan. The little reporting that Pakistani media used to do has also been completely stopped due to state orders. Only the state’s version of news and incidents are presented. The majority of Baloch media has been banned, whereas, the remaining have chosen to keep quiet in return for hefty income from government advertisements. The journalists who dared to report objectively became target of ruthless bullets. Currently, only few objective journalists remain in Balochistan but they are subject to intense censorship. On other hand Balochistan is warzone, where skirmishes between pro-freedom Baloch forces and Pakistani state has continued for last 70 years. Gross human rights violations have become a norm and the intensity has continuously increased over the years. Due to absence of an objective media, even news as big as aerial bombardment on civilian population and discovery of mass graves and bullet riddled bodies have failed to attract international attention. This has also resulted in suppressing issues of women rights, absence of basic facilities and civic rights. A normal Baloch citizen has no voice. We aim to become the voice of Baloch nation that has failed to cross the borders of Balochistan. We want to take this voice to every corner of the world. We want to keep Baloch nation updated with what is happening in Balochistan. We aim to become the non-partisan voice of every Baloch irrespective of political affiliations. We aim to objectively publish and promote every news even if our organisation does not share the views presented in the news or articles. Our objective is to attain authentic news from every corner of Balochisan and spread it around the world. We aim to have good relations with existing Baloch media and work in collaboration with them. We aim to create a large, authentic and effective Baloch media house. We aim to create a media house that does not act as mouthpiece of an organisation or a leader but instead works in an objective and impartial way to spread the voice of every Baloch. We aim to create a big informational source regarding Balochistan, which can easily be accessed by everyone. Along with big issues Balochistan face, we also aim to highlight the probelms of education, health, communication systems etc prevailing in Balochistan. Instead of resorting to the obsolete methods of news gathering from other entities, we directly depend on sources from the ground. We are, therefore, creating a network of journalists in every town and village of Balochistan so that the hidden news and conditions of Balochistan are brought in front of the world. From the very first day we are using four different languages. Brahvi and Balochi are used to remain in contact with the Baloch public and also to develop and promote these two languages. We are using Urdu to relay the news to all neighboring countries of Balochistan. To get our word to every part of the world and to fill the vacuum created by almost complete absence of English media, we are using the English language. We are also focusing on interviews of various personalities of Balochistan to bring their point of view to the Baloch nation and wider world. We will not be limited to print media, therefore, we have introduced the concept of video reporting and will develop this further with the time. We do not believe on censorship, therefore, we impartially give same attention to all organisations and groups. Where necessary we bring their point of views on individual basis too. – You can help not only The Balochistan Post but also Balochistan and Baloch nation by reporting voluntarily sending news and reports regarding your area to our email and Facebook page. Why Malala condemning Rohingya ethnic cleansing is hypocrisy? 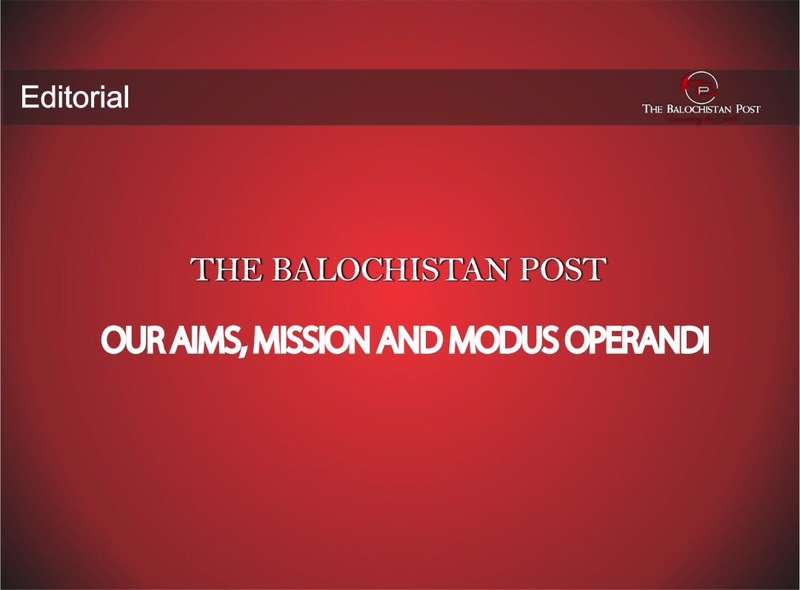 The Balochistan Post is the largest and most authentic online news network of Balochistan. Our correspondents on the ground bring you latest news from one of most volatile regions of the world on daily basis.